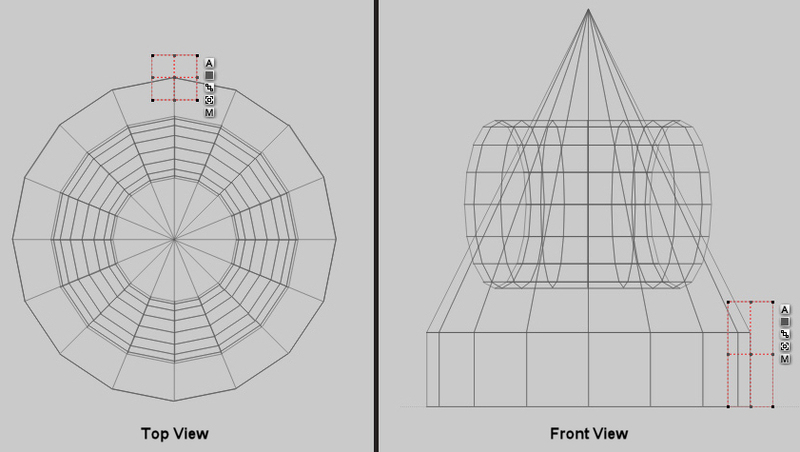 The next model to create is a rather basic structure, in that it consists of one cone, one cylinder, one torus, and four cubes. It will be used to interact with the other models that go to create the city. 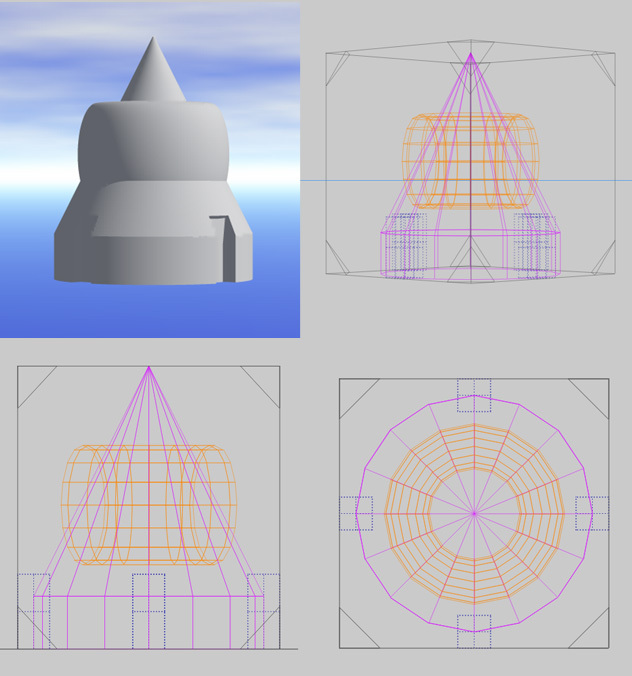 Within the process of completing the model, alignment and grouping will take place. Simple Boolean operations also occur. In the example the neutral objects appear as orange, the positive objects as pink, and the negative ones as blue. 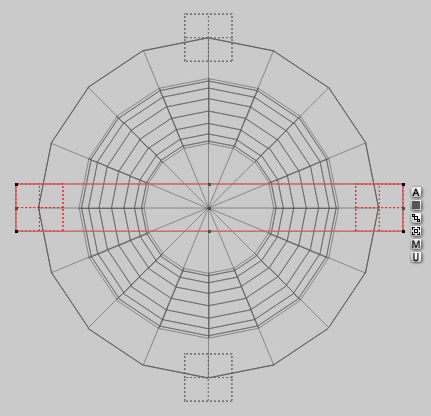 Create a cylinder and reduce the height through the Y-axis. 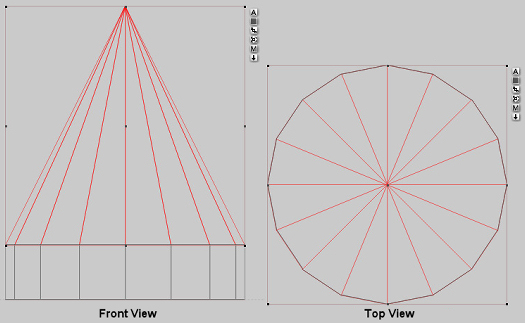 Create a cone and place it on top of the cylinder. 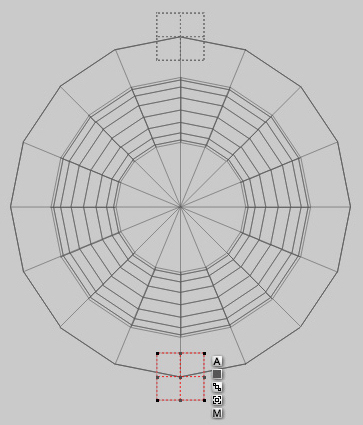 The easiest way to do this is to move the cone above the cylinder on the Y-axis, then select "Snap To Land" from the Align pull-down menu. Select both the cylinder and the cone and press �P� on the keyboard to set them to positive for Boolean operations. 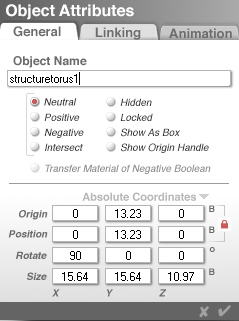 Create a torus and enter the Object Attributes by clicking the button next to the bounding box. 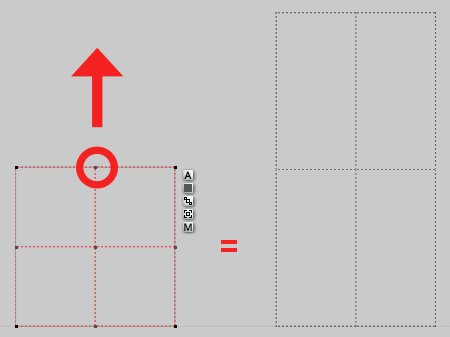 Enter a value of 90 in the X-rotate field and click on the checkmark to accept the changes. 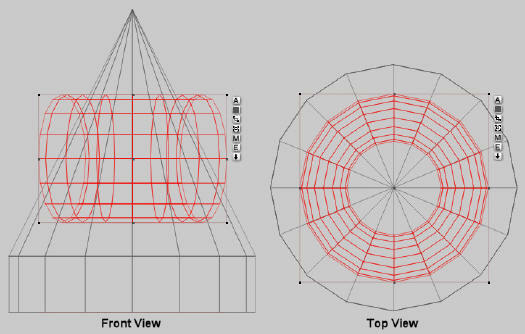 Align the torus with the cone making sure that the centre of the two runs through the core. Create a cube and press �N� on the keyboard to set it to negative for Boolean operations. Reduce the scale similar to the example. 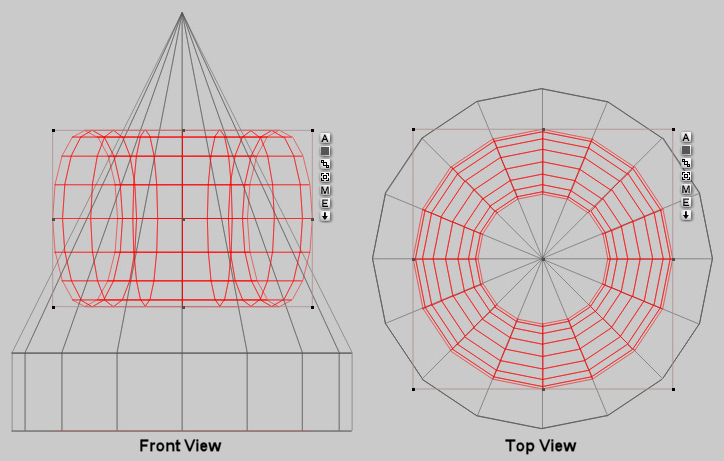 Switch to the top camera view and align the cube at the 12 o�clock position in conjunction with the cylinder. 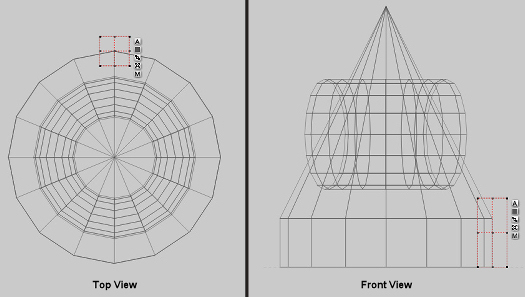 Duplicate the cube (Ctrl-D), and place it at the 6o�clock position (set the Z-origin to -10.24). Select both cubes, duplicate them (Ctrl-D), and group the two new cubes together (Ctrl-G). Access the Object Attributes by clicking on the button next to the bounding box. 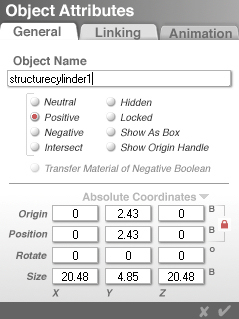 Enter 90 in the Y-rotate field and click on the checkmark to accept the changes. The two cubes should now appear at the 3 and 9 o�clock positions. 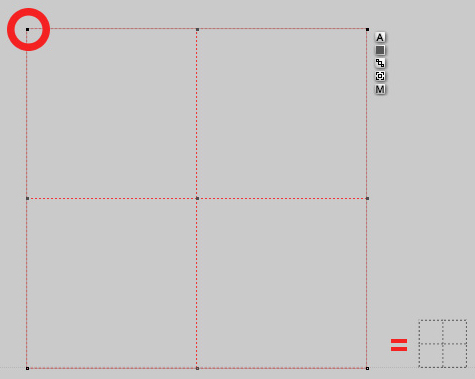 Ungroup the two cubes (Ctrl-U), then select all objects and group them all together. Apply the Polished Pewter material from the Master Series Cloud City Material Presets sub-library. Save the model to your Object Presets Library for later use. If you copied the included Presets folder into the Bryce 5 main folder, select the Master Series library and save the structure to the Cloud City sub-library. Name it something like "structure" or "Structure 1".